Das Motto lautet „MASKERADE“ und der Ball lädt euch alle ein mit euren schönsten Masken zu kommen, um dann um Mitternacht zu zeigen, wer ihr hinter der Maske seid! 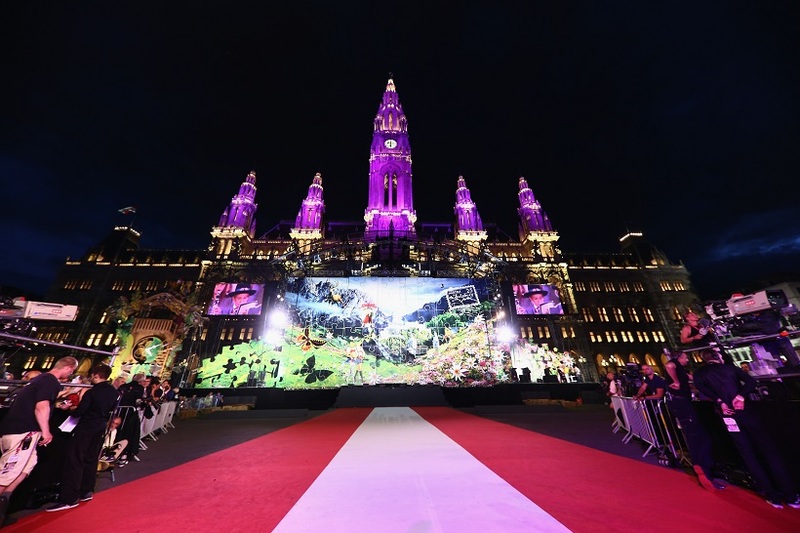 Sei ein_e König_in, ein_e Prinz_essin oder ein Joker! Sei du selbst! 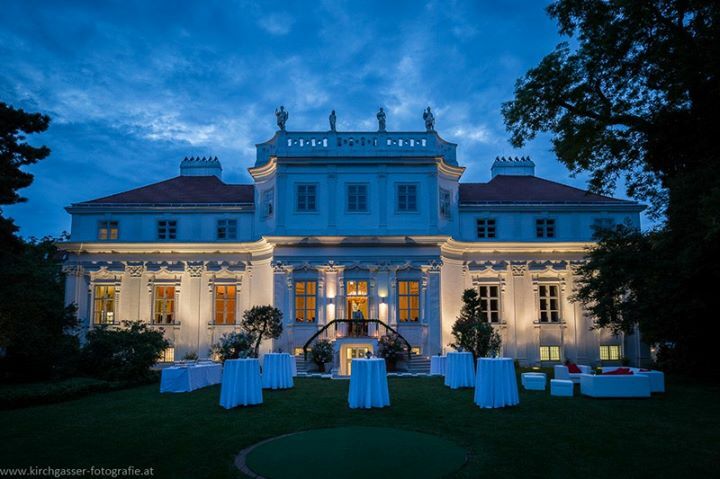 Lasse dich von einer fulminanten Eröffnungsshow begeistern und genieße den Zauber des Miteinanders beim Tanzen im Ballroom, beim Chillen im Jazz Room, bei Cocktails auf dem Queens Balcony, beim Party machen im Jokers PowerHouse, oder beim Entspannen auf der Kings Terrace. 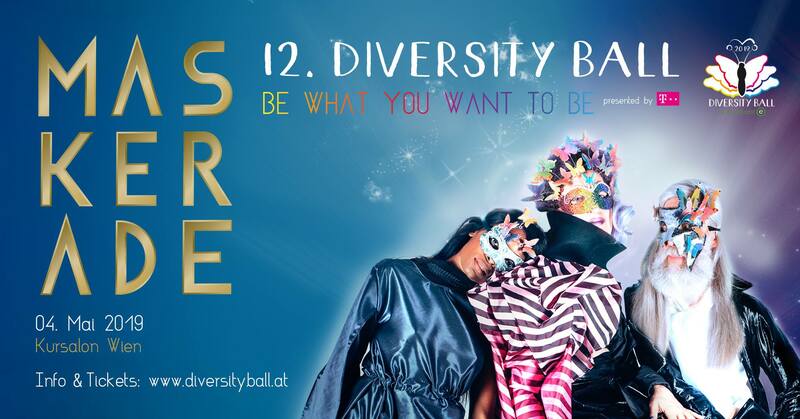 On May 4th the 12th Diversity Ball transforms Kursalon Wien into a fabulous place of lived diversity where classical Viennese ball tradition and modern party culture combine to a glittering celebration of love of life. Our motto is “MASKERADE” and the ball invites you all to come with your most beautiful masks to reveal at midnight, who you are behind it. Be a king or queen, be a prince or princess, be a joker! Be what you want to be! Let yourself be blown away by an amazing opening show and enjoy the magic of dancing together in the Ballroom, chilling in the Jazz Room, cocktails on Queens Balcony, partying in Jokers PowerHouse or relaxing on Kings Terrace. Everything is allowed and everyone is welcome, regardless of gender, age, sexual orientation, disability, origin or religion. The same applies to the dress code: latex clothing or ball gown, be who you want to be and celebrate your uniqueness, ideally with a mask!